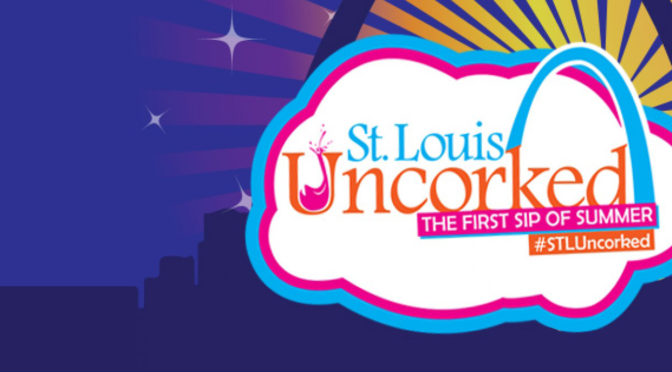 The St. Louis weekend event guide from Thursday, July 17 through Sunday, July 20. Internet Cat Video Festival: It isn’t about watching cat videos, it’s about watching cat videos together. Put on your best cat costume and don’t miss out on the purrs, lolz, and fun when the Walker Art Center’s festival comes to St. Louis. The night will include: face painting, artist-led activities including crafting upcycled cat toys with Perennial, a make your own cat ears booth, cat inspired apparel and goods from CatFeat and Riley Construction, Tenth Life Cat Rescue adopt-a-cat booth, and Finger Foodies and Seoul Taco food trucks. St. Louis Cat Video Contest:﻿ Make and share an original short video starring your favorite cat as part of our St. Louis Cat Video Contest. The contest winner will be selected by a combination of the most likes and CAM staff. 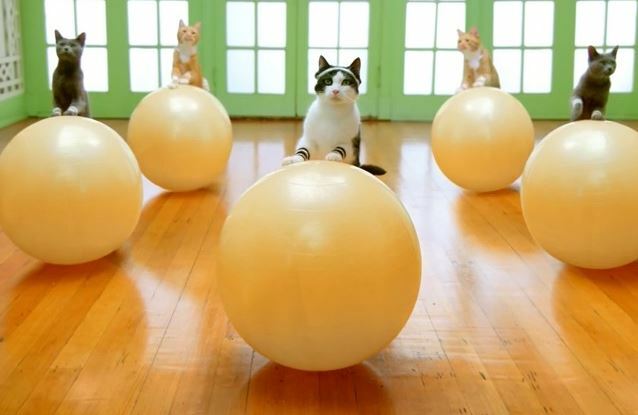 The contest winner will receive a pair of tickets to one night of the Internet Cat Video Festival and have their short screened before the film. $10 GA or $20 VIP. 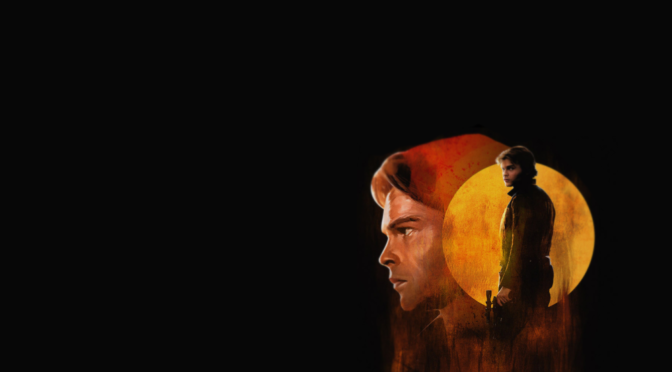 Limited availability, includes reserved seats at screening. ﻿Free for Young Friends. Cash bar.﻿﻿ Please do not bring your cats. Not So Quiet Concert Series: Legendary band Jake’s Leg performs at the SLPL’s Not So Quiet! Concert Series. 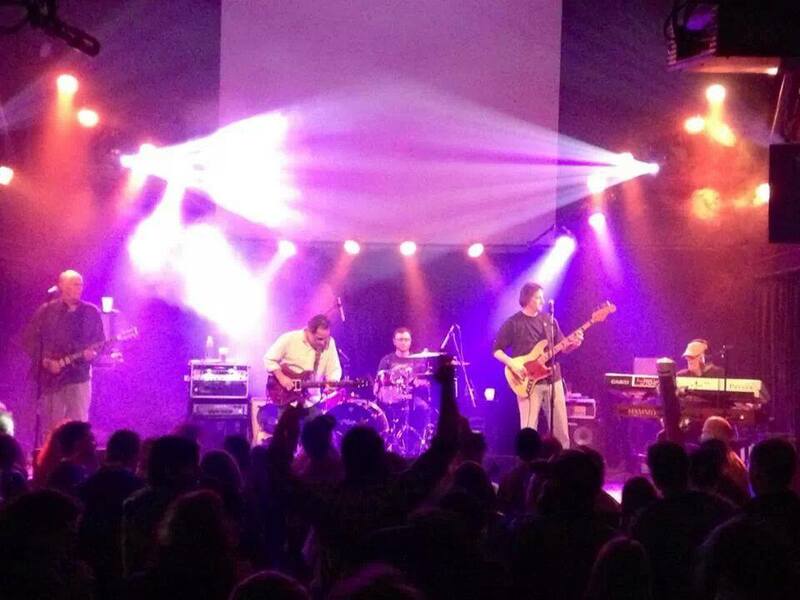 More than a Grateful Dead tribute band, Jake’s Leg interprets the Dead’s iconic sound with their own musical and emotional identity to create an amazing musical experience. An all ages, free concert in the Central Library’s Auditorium. Before the concert, stop by the Auditorium Lobby between 6-7pm to enjoy tasty food and drinks with an ethnic twist from Urban Eats Café Central, the newest addition to Central Library. Sample an eclectic selection of smoothies, coffee & tea, wraps, salads, snacks, and treats. Third Friday Xmas Fun In July: Ho-Ho-No Santa. No pesky elves. No Grandma Got Run Over By A Reindeer. 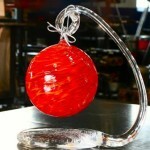 It’s Xmas fun in July with a free ornament raffle, glass “candy” cane pull, hoop mini-performance, and more. Glassblowing demonstrations, make your own glass-terpieces! Sign up to make night lights, paperweights, beads or fused jewelry, free ornament raffle, buy a drink at the bar, get a raffle ticket. 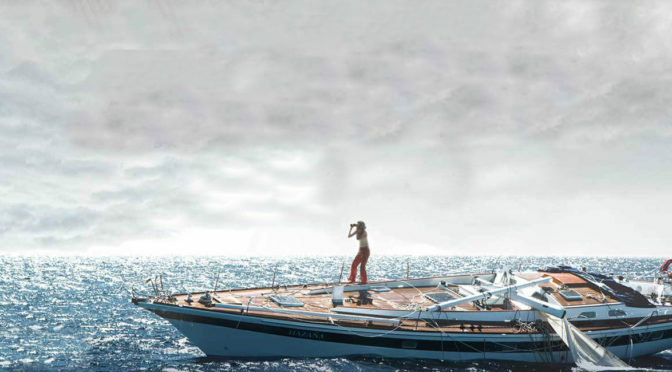 East Gallery presents: Altered Dreamscapes by Mark Skinner. Plus shop a one-nite-only trunk show & sale of Skinners’ handmade cards. Concurrent exhibit is Whimsical Art With Heart: Bill McKenney, Bill’s Retro Robots. Drink of the Month: Pomegranate Sweetie. Check out performances from the STL Hoop Club, Diamond Cut Blues Band, and the Fire Techs. Handmade Happy Hour: Summer in the City: Handmade Happy Hour will be celebrating Summer in the City sponsored by Alive with another fantastic event. 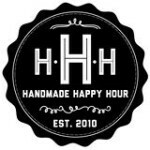 Browse a selection of family-friendly, handmade, locally sourced and ethically imported goods while listening to live music from Arthur & The Librarian, Kenneth DeShields, Kristen Goodman and DJ TrashTalk, DIY activities, complimentary cocktail samples from Pinnacle Vodka and specials from nearby businesses. 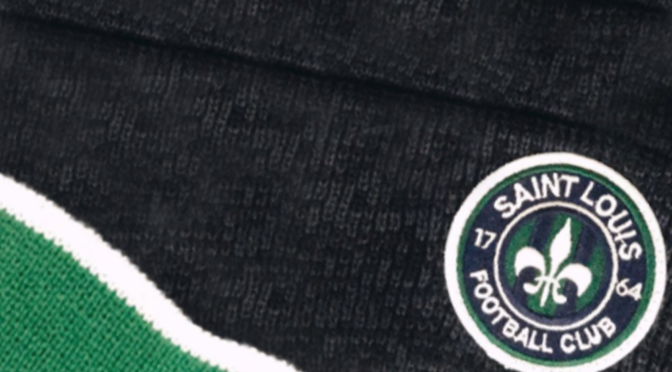 100% of proceeds from a $5 suggested donation will benefit The Coolfire Foundation. 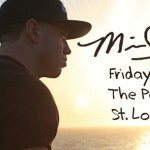 Mike Stud in St. Louis: Mike Stud is making a stop in St. Louis on his #StudSummer tour promoting his album, Closer, released on July 7. IamG is opening for Stud at around 8:50pm. 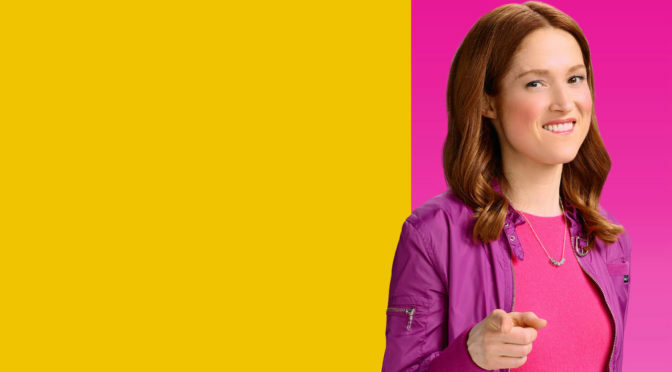 Justina will also be on the bill for the St. Louis stop. DJ Leon Lamont will open the show at around 8pm. Doors open at 7pm. Tickets to the show are $17.50 in advance and $20 at the door. 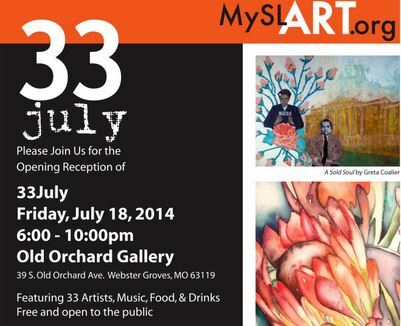 33July: The opening reception for MYSLART’s 33July will take place in Webster Groves. 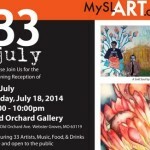 The event features “33” STL Area Artists: Richard Ahlvers, Michael Albers, Favian Anello, Greta Coalier, Anthony DiMattia, Marisa Drewes, Rhonda D. Elmore, Naomi Elson, David Eslinger, Christa Euans, Tom Fleming, Janine Helton, Elizabeth Herman, Eva Junyor, Basil Kincaid, Chuck Kubba, Brooke Lobb, Andy Martin, Joshua McCurdy, Melissa Meyer-Scott, Barbara Moncivais, Wendy Nishi, Kelene Karetski, Somarriba Rodriguez, Mary Cait Rohlfing, John Salozzo, Pippin Schupbach, Sally Simpson, ND Smith, Den Smith, TheArtistGrimm, Roxie Tomak, and Stanley Veyhl. 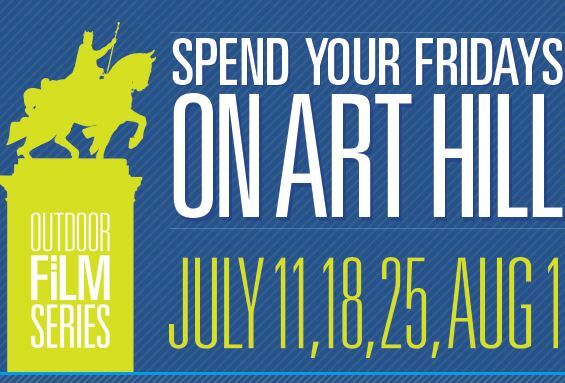 Juried by STL’s Gloria Hamlin. Tim Snyder will be drawing caricatures for $10! There will be music, food, and drinks. Admission is free. Half of the proceeds will be donated to nonprofit MySLArt.org. Trivia for A Paws: The Webster Groves, Shrewsbury, Rock Hill annual trivia night to benefit Friends of Animal Control and Rescue, which provides funding and in-kind donations in support of animal control and rescue activities. Doors open at 6pm. Additional cash prizes will be awarded to 1st & 2nd place best-decorated table, plus awesome raffles, attendance prizes, hilarious heads or tails, and a 50/50 drawing. Table of 8 is $140 or $20 for single seats. 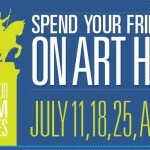 Art Hill Outdoor Film Series: Enjoy a night of food trucks, music, and movies on Art Hill. Bring your own picnic or come early and enjoy Food Truck Fest presented by Sauce Magazine. Food Truck service will begin at 6pm. The Museum’s Panorama Restaurant will also be open until 9pm. Enjoy live music from the earthy, jazz-inspired band, Brothers Lazaroff. And end the night laying in the grass watching the classic, Funny Face, a 1957 film directed by Stanley Donen; starring Audrey Hepburn, Fred Astaire, and Kay Thompson about an impromptu photo shoot at a Greenwich Village bookstore that leads to the fashion-model discovery of a shop clerk who isn’t crazy about the idea. Movie begins at 9pm. This is a free event. 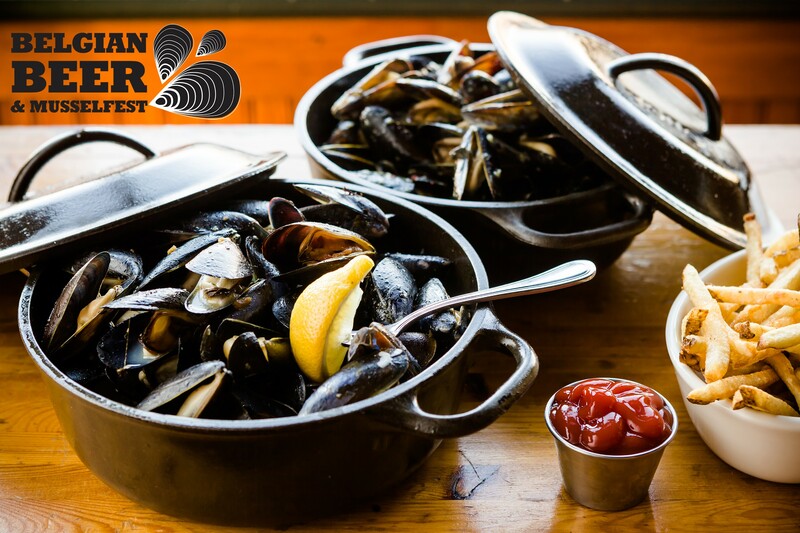 Belgian Beer & Mussel Fest: Experience a cornerstone of Belgian food & drink: coldwater mussels flown in fresh and served in classic styles, then paired with ales that boast complexities akin to wine. 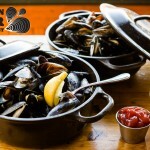 Featuring mussels from Penn Cove, WA and Belgian Witbier, Belgian Golden Ale, and our Bottle Conditioned Belgian Series. 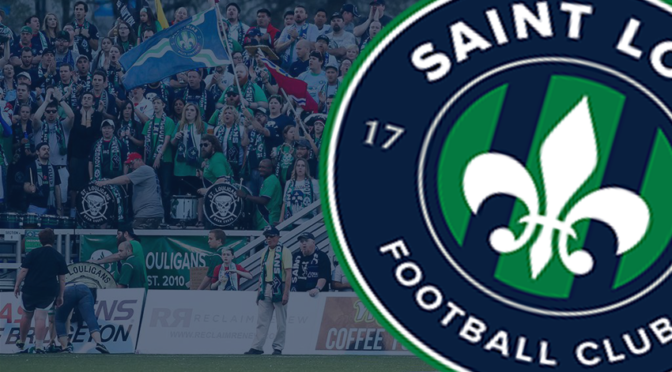 They will have Belgian Waffles upstairs as well and the complete Tap Room menu in the downstairs dining areas.﻿ Free admission. Just pay for what you want to eat and drink. Live Music from 5-9PM. 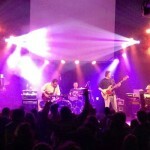 Friday – High Fashion Kings, Saturday – Tom Irwin and His Hayburners. 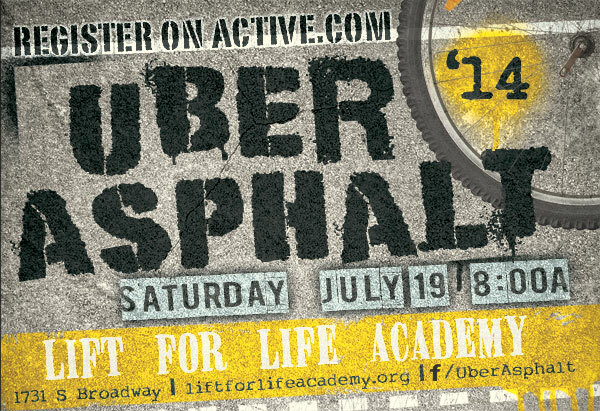 Uber Asphalt: The 2nd Annual Uber Asphalt offers participants two urban bike riding experience options: 1. Crushers: An obstacle hunt where teams of two strategize their routes on a scavenger hunt through St. Louis, crushing obstacles & collecting bottle caps to be redeemed at race end for a 6 pack. 2. Cruisers: Solo cyclists ride to each station but don’t complete obstacles. They collect bottle caps and play the Page Ripper Game, ripping pages from textbooks at each station. So the guy in front of you ripped out page 6, you have to grab 7 and hope to beat him to the next book/stop as you’ll add the totals of the page numbers at the ride’s end. Every rider receives a commemorative pint glass, the opportunity to earn a six pack of assorted New Belgium beers, and a fun after party with live music, New Belgium Brewing craft beer, an award ceremony, games, bike fashionista & funky bike awards, local fare from food trucks, bike blender smoothies for adults and kids, and raffles. 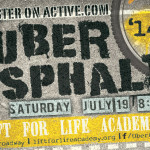 This is a fundraiser to benefit Lift For Life Academy, a St. Louis charter school serving 580 students. 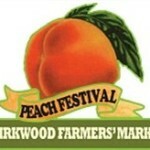 Kirkwood Peach Festival: Activities will be bountiful during the Kirkwood Farmers’ Market Peach Festival. 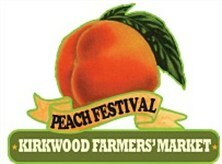 Enjoy seasonal produce and peach samples from local farmers as well as peach related treats and seasonal menu items at Kirkwood Farmers’ Market. Local farmers will be competing in a contest for the best tasting seasonal produce. Enjoy an early morning bite from the Walk Away Waffles truck. there will be a sidewalk sale, tunes from the The Maple Jam Band, free samples, and more delicious food from trucks: Completely Sauces and Vincent Van Doughnut. 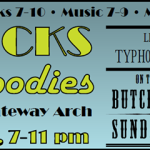 Flicks & Foodies: A free Outdoor Movie Series at the Gateway Arch. The National Park Service invites visitors to a night of live music from Typhoon Jackson, food trucks and film under the Gateway Arch. The summer movie night series features classic film favorites screening underneath a classic American landmark, offering spectacular views of downtown St. Louis and a unique motion-picture viewing experience. 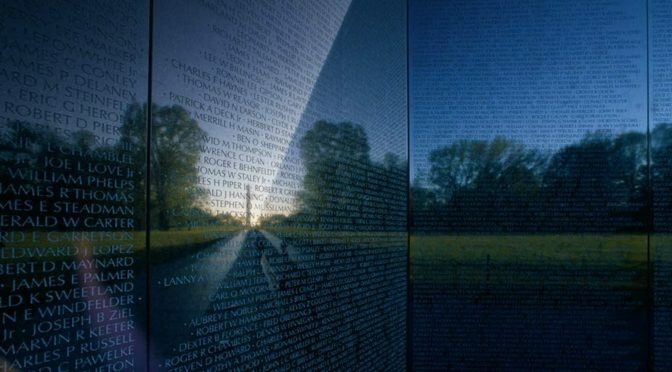 Starting at 7 pm, visitors can gather on the Arch grounds, and enjoy live music and food trucks. At sunset, Butch Cassidy and the Sundance Kid (rescheduled from June 21) will show underneath the Arch on a giant projection screen. 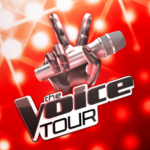 The Voice 2014 Tour: The Voice Tour 2014 hit the road on June 21st with Season 6’s Top 3 winners plus the season’s fan favorite, hand picked by The Voice watchers, mixed with some previous season’s winners and favorites. 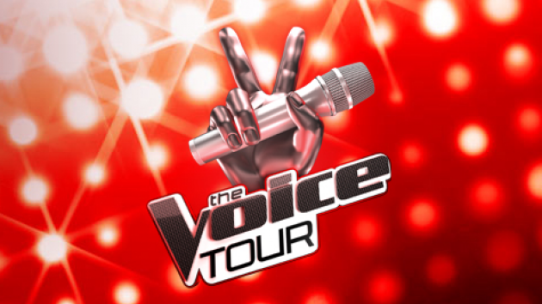 Check out Josh Kaufman, Jake Worthington, Christina Grimmie, Kristen Merlin, Jake Barker, Tessanne Chin, Jacquie Lee, Will Champlin, and Dia Frampton this Sunday. Tickets start at $42.60 with Meet & Greet VIP Packages available at an additional cost. 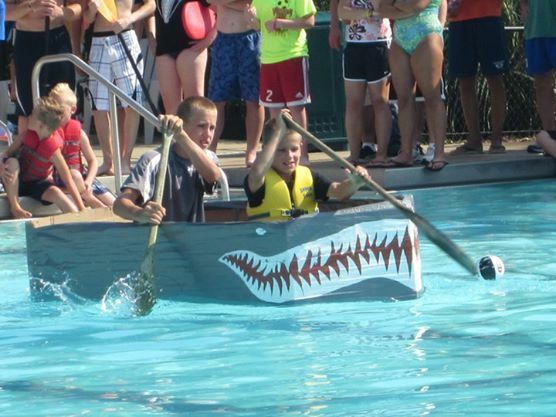 Cardboard Boat Race: The fifth annual Cardboard Boat Race challenges you to make a two-person watercraft from a box and duct tape, and then paddle it across the pool. Participation in the race costs $10 to $12. Must be registered by July 16. 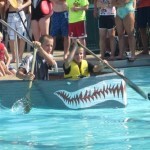 You don’t even have to win the race to get a prize; prizes will be given for Best Decorated Boat and the Titanic award as well. The fee to come watch the races is $3.50 to $5.50. 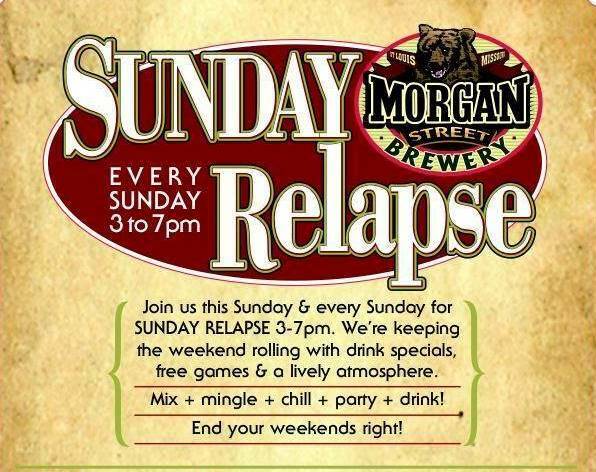 Sunday Relapse: Morgan Street Brewery keeps the weekend rolling with a weekly Sunday Relapse Party, complete with food, drink specials, free games including billiards, shuffleboard, and bags, and live music. This Sunday’s entertainment courtesy of Miss Jubilee. 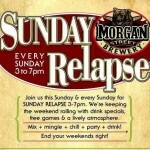 Drink specials include: $2 pints, $3 bombs, $4 Mimosas & Bloody Mary’s, and $5 You Call-Its.